Then on 3 October, Lawrence Summers, the former US Secretary of the Treasury and economic adviser to President Obama, published his essay, “The Global Economy Is in Serious Danger”, in the Washington Post. It seems that a growing consensus is emerging that the global capitalist economy is rapidly approaching the next crisis. From the point of view of global class struggle, the real question is how the next economic crisis plays a role in the current structural crisis of global capitalism (the third such ‘structural crisis’ after the structural crises of 1914-1945 and 1968-1989) and whether or not the current structural crisis can be resolved within the historical framework of capitalism. In response to the last structural crisis, global capitalism adopted ‘neoliberalism’, a set of policies and institutions designed to defeat the working classes in the core and semi-peripheral countries. But the global balance of power was not turned decisively to the favour of the capitalist classes until China undertook ‘reform and openness’. China’s capitalist transition provided several hundreds of millions of capable workers with wage rates at a small fraction of those prevailing in the core countries. The incorporation of such a massive cheap labour force undermined the bargaining power of the western working classes decisively. Since then, China’s social structure has been fundamentally transformed. A large militant working class has emerged. According to my estimate, China’s wage-earning working class expanded from about 230 million in 1990 to 370 million in 2012. When the more privileged urban ‘middle class’ (professional and technical workers) are included, the total of urban and rural wage workers grew from about 250 million in 1990 to 420 million in 2012. Currently, about 100,000 ‘mass incidents’ (mass protests) happen annually. About 10 million people are involved in these ‘mass incidents’ every year. After sharp declines in the 1990s and stabilisation in the early 2000s, labour income as a share of China’s GDP began to rise after 2010, reflecting the growing strength of the Chinese working class. The squeeze on capitalist profit has led to the rapid decline of China’s economy-wide profit rate. In the early 2000s, China’s economy-wide profit rate was about twice as high as the US level. Since 2007, China’s profit rate has fallen precipitously. Under the current trend, China’s profit rate could, in a few years, fall towards levels that were last seen in the US during the Great Depression. 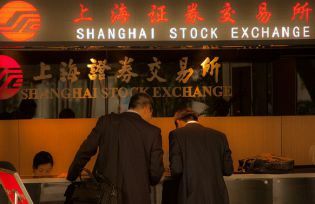 As several mainstream institutions have predicted, a major crisis of the Chinese economy could plunge the global capitalist economy into a crisis that will prove to be more destructive than the ‘Great Recession’ of 2008-2009. The question is whether global capitalism can survive the coming crisis, and whether favourable conditions required for global capital accumulation can be restored. It has been commonly argued by people from both the right and the left that capitalism has been an incredibly flexible system that can adapt to new historical conditions. After all, capitalism survived the previous ‘structural crises’ of 1914-1945 and 1968-1989. However, there are at least two new developments that could make the coming structural crisis fundamentally different from the two previous ones. Some rights reserved.In response to the structural crisis of 1914-1945, global capitalism responded by accommodating the social challenges from the western working classes (in the form of Keynesianism and the welfare state) and the non-western national liberation movements (in the form of de-colonisation and economic development programmes). By contrast, during the structural crisis of 1968-1989, global capitalism could no longer accommodate the growing demands from the core and the semi-peripheral working classes and had to adopt neoliberal policies to restore the profit rate. If, by the late twentieth century, global capitalism could no longer accommodate the demands from the core and the semi-peripheral working classes, how likely is it for global capitalism in the twenty-first century to accommodate the demands from not only the core and the historical semi-peripheral working classes but also from the Chinese working class (which alone is about one-fifth of the global labour force)? Moreover, unlike during the late twentieth century, there is not another large geographical area that can provide a massive cheap labour force along with other necessary conditions required for capital accumulation to help global capitalism restore favourable conditions of capital accumulation. Insufficient energy resources alone might prevent India from becoming ‘the next China’. In addition, the global ecological systems are rapidly approaching total collapse, imposing another insurmountable limit to global capital accumulation. In a recent comment, Kevin Anderson, one of the world’s leading climate change scholars, makes the powerful argument that a realistic climate stabilisation programme would require global emissions reduction at annual rates of ten percent or above in order to prevent more than two-degree global warming. The essential message behind this is that reasonable climate stabilisation (consistent with the perseveration of the material foundation of human civilisation) is fundamentally incompatible with the pursuit of infinite economic growth (that is, infinite capital accumulation). Can the world simultaneously meet the basic requirements of global ecological sustainability and the basic needs of billions in the global south? We will find out the answer, one way or the other, in the coming decades. China and the 21st Century Crisis is published by Pluto Press. Minqi Li teaches economics at the University of Utah and has also taught political science at York University, Canada. He is the author of The Rise of China and the Demise of the Capitalist World-Economy (Pluto Press, 2008) and China and the 21st Century Crisis (Pluto Press, 2015). He turned from an advocate of free-market principles into a Marxist, and was a political prisoner in China between 1990 and 1992.